Autograph album of Louise M. Williams, dated December 25, 1874, presumably a Christmas present. 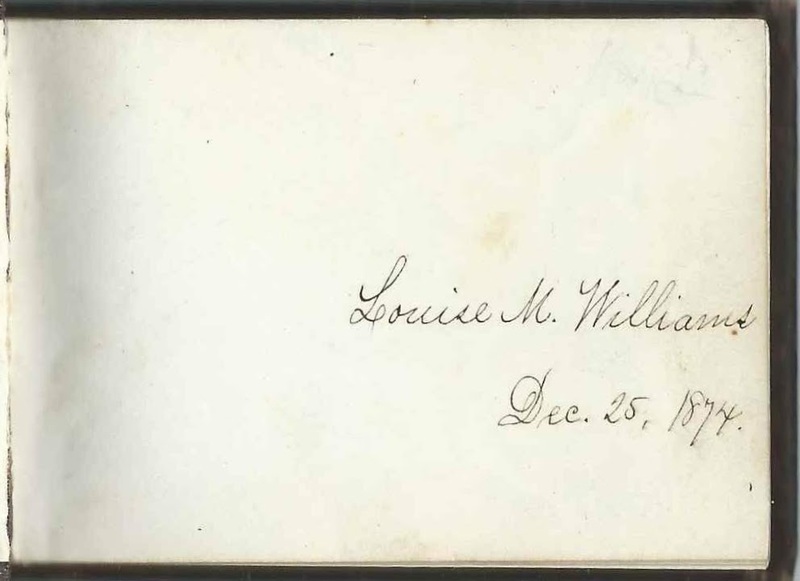 I believe she was Louise Miller Williams (1865-1901), then of Bristol, Rhode Island. The album is a petite one, measuring a bit less than 3-1/2 by 2-1/2, and contains the sentiments of ten people, at least three of whom appear to relatives. 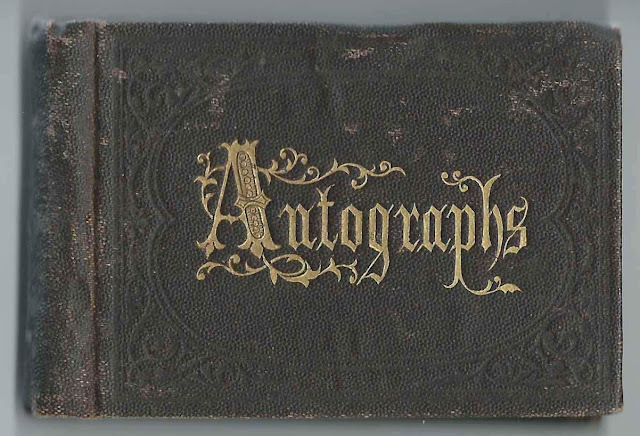 A surname list appears below and an alphabetical list of the inscribers and any personal information they offered, appears at the end of this post. I believe the album owner was Louise Miller Williams, daughter of Fielding Lewis Williams and Abbie Louisa (Miller) Williams of Bristol, Rhode Island. Louise was born in Philadelphia, Pennsylvania, on November 8, 1865. 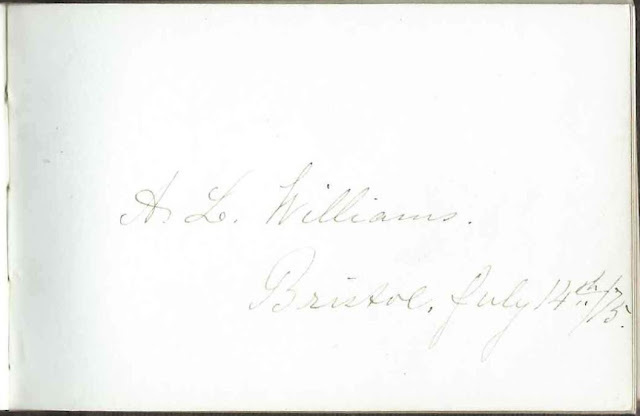 I believe the A. L. Williams who inscribed a page was Louise mother, Abbie Louisa (Miller) Williams. Abbie Louisa (Miller) Williams was the daughter of Augustus Nelson Miller and Harriet Jones (Waldron) Miller. 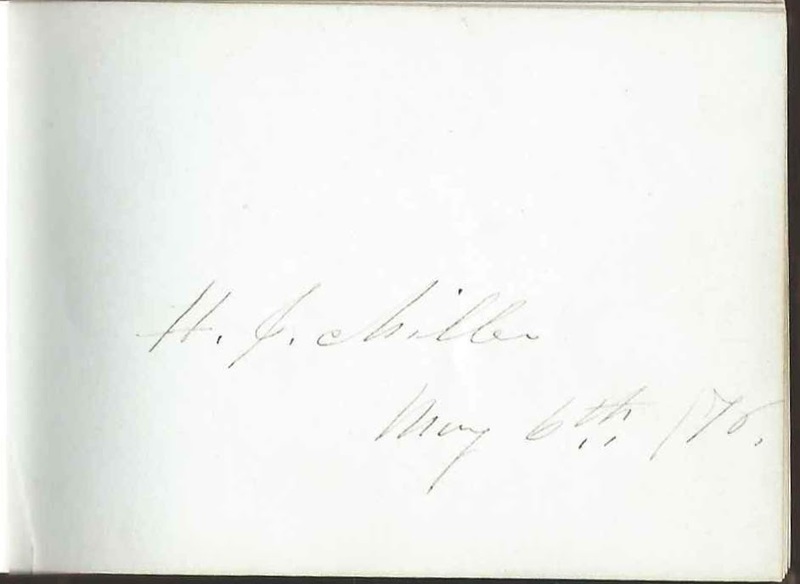 It's possible that the H. L. Williams who inscribed a page was Harriet Jones (Waldron) Miller, mother of Abbie Louisa (Miller) Williams and maternal grandmother of album owner Louise. 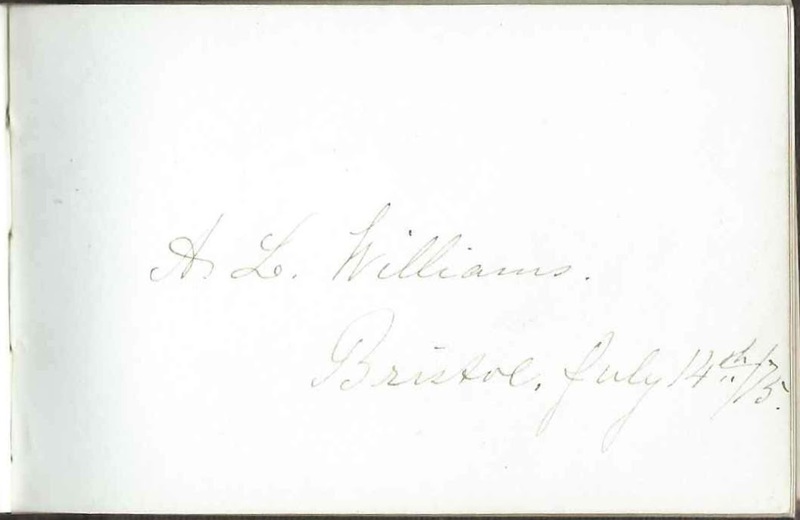 The next inscription was that of A. P. Waldron, who may have been Annie P. Waldron, presumably related to Harriet Jones (Waldron) Miller. Louise Miller Williams married John Taylor Lewis in 1898; sadly she died in 1901, after having had one child, son John Taylor Lewis in 1900. She's buried in the Juniper Hill Cemetery at Bristol, Rhode Island. If you have corrections and/or additions to the information above, and if you can decode any of the initials of the inscribers, please leave a comment or contact me directly. 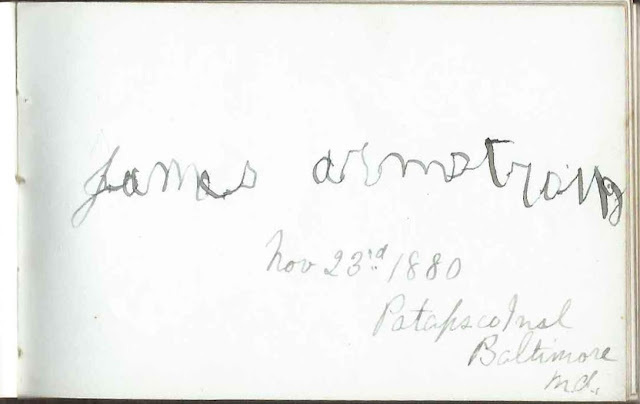 Perhaps a reader can decode the place in the inscription written partially by James Armstrong and partially by, I presume, one of his parents. Patapsco ? - short for Institute? There was a Patapsco Female Institute, and perhaps James was the son of one of the instructors. 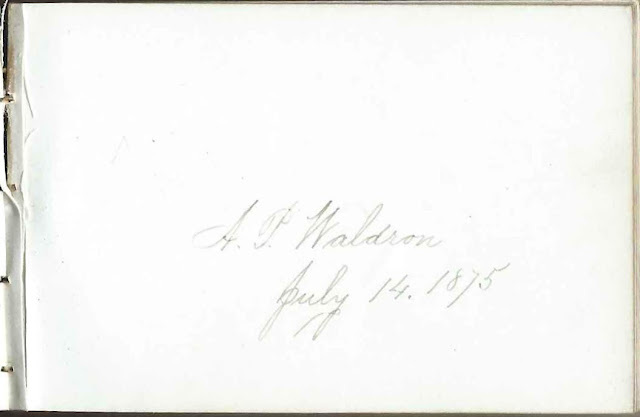 A. P. Waldron; inscribed on July 14, 1875; perhaps Annie P. Waldron; presumably related to Louise through family of Louise's maternal grandmother Harriet Jones (Waldron) Miller.